Likely deciding to omit multiplayer from the retail release of Just Cause 3 just to have the community work on it themselves, the much-requested mod has finally arrived. 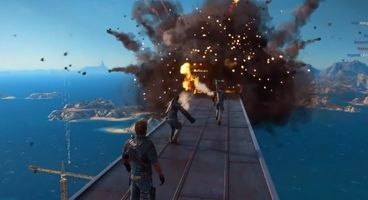 Though only released as a beta test client for now, the Just Cause 3 Multiplayer Mod follows in the footsteps of its predecessor. Confirming Just Cause as a whole lends itself to a multiplayer environment much like Grand Theft Auto, the idea of causing chaos in a group is always too much to pass up. So, with Square Enix leaving the game as a single-player affair, they've likely played a part in bringing the mod to the masses after the success of the second game's community-driven addition. It even comes with the tools needed to have full control over your server-side activities like game-modes and eventual modifiers. Even the opening missions of the Just Cause series demonstrate just how much havoc a group of people with heavy weapons can create, so having those people be controls by folks more inclined with making a huge mess with explosives rather than killing one man, no chopper is safe from the rocket launchers, other aircraft and base-jumpers looking for a close shave before their high-speed landing. 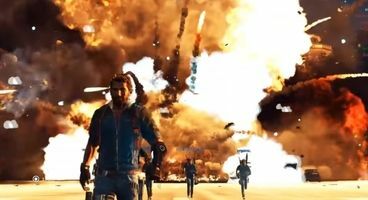 Available through the mod's official webpage, you'll, of course, need a legitimate PC copy of Just Cause 3 to fire it up.